Mountains, mountains, everywhere. At Kicking Horse Mountain Resort, just outside the eastern British Columbia town of Golden, there are mountains everywhere you look. The peaks of the Canadian Rockies, Purcell, and Selkirk ranges surround this mountain playground. All these mountains mean that there’s plenty to do outdoors, whether you visit in summer for hiking, wildlife spotting, or touring the surrounding national parks, or in winter, when you can ski or snowboard down more than 120 runs. 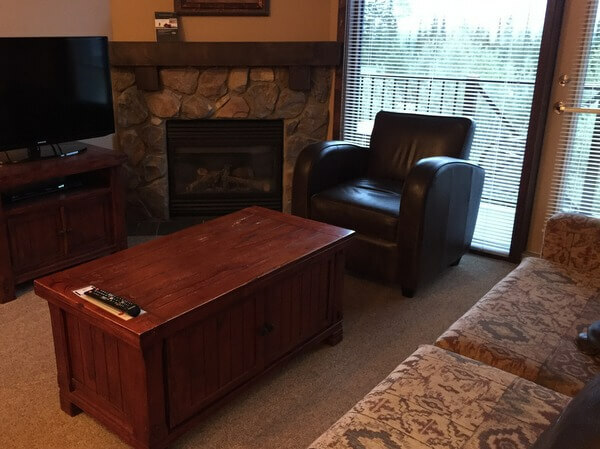 On a road trip to the Canadian Rockies this summer, I stopped off for a couple of days of adventure in and around Golden, and my base was the comfortable Glacier Mountaineer Lodge. If you’ve come to play at Kicking Horse Mountain, the lodge’s location couldn’t be more convenient. 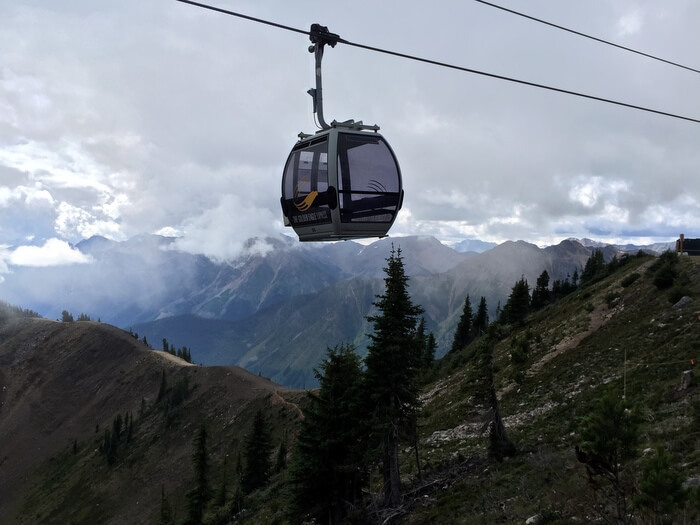 It’s right at the base of the Golden Eagle Express gondola that whisks you up to the mountain’s summit, and it’s a short stroll from the resort’s activity center, where you can organize things to do. The lodge has 130 guest rooms and condo suites in two lodge buildings: the Glacier Lodge (where I stayed), which it slightly closer to the gondola, and the nearby Mountaineer Lodge. The king- and queen-bedded guest rooms are spacious, averaging 400-500 square feet, with a mini-fridge and bar sink, although not a full-kitchen. The condo units, with one, two, or three bedrooms, all have full kitchens, stocked with dishes, pots and pans, coffeemakers, microwaves — everything you’d need to prep meals for the family. 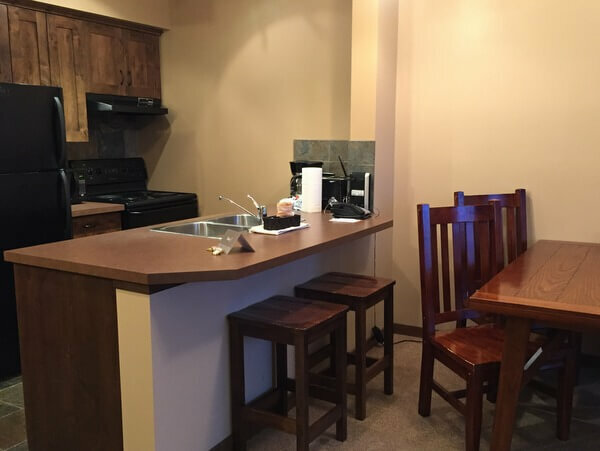 They also have sturdy dining tables, gas fireplaces, washer-dryers, and large living rooms with sofa beds. Furnishings are ski-lodge comfortable, with sturdy wood furniture, comfy chairs, and earth-tone upholstery. 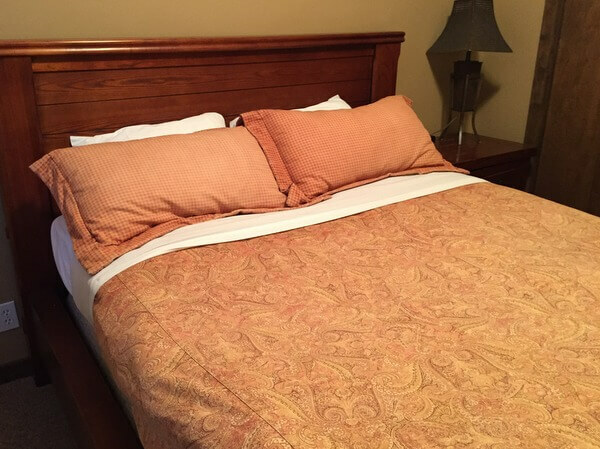 All units have wi-fi and satellite TVs. Balconies face either the ski runs or across the valley to more mountains. The Glacier Mountaineer Lodge has a fitness center, although with the mountains at your doorstep, you may not need to work out indoors. There’s also a sauna and outdoor hot tub. 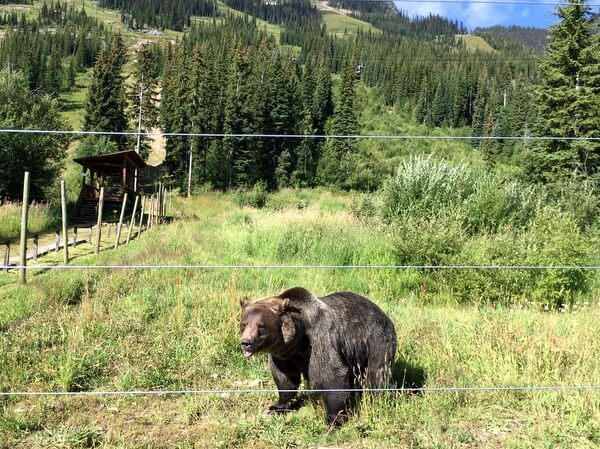 Nearby, at Kicking Horse Mountain’s Grizzly Bear Interpretive Centre, you can meet Boo, an orphaned grizzly, and learn more about B.C.’s bears and their habits. Plan to visit the Grizzly Centre between late May and September; it’s closed in the winter when Boo is hibernating. From the top of the Glacier Express gondola, you can reach several hiking trails, from relatively easy mountain strolls to challenging summit hikes, as well as more than 30 mountain biking trails. 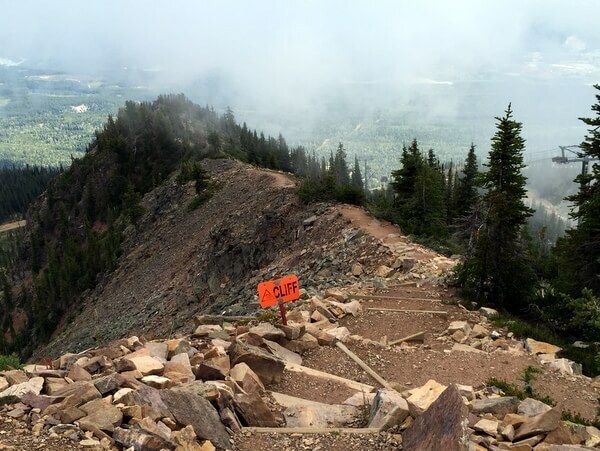 Kicking Horse also has a Via Ferrata, an “iron way” route that enables non-climbers to try out alpine climbing. 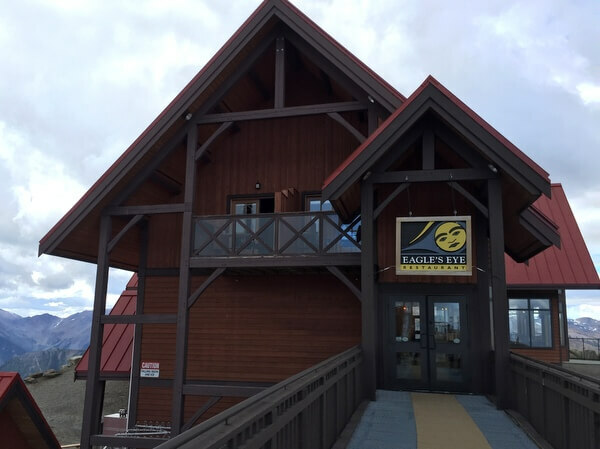 Even if you’re not a skier, hiker, or mountain biker, it’s worth riding the gondola up for a meal or a drink at the Eagle’s Eye Restaurant, which is Canada’s highest restaurant. The views across the mountains are spectacular. Kicking Horse Mountain Resort is nine miles (14 kilometers) from the town of Golden, where there are a number of cafes, restaurants, and shops. Golden is a popular destination for whitewater rafting, and several operators offer rafting tours on the Kicking Horse River. The resort is also within day-trip distance from several mountain national parks, including Yoho National Park, Kootenay National Park, Glacier National Park, and Mt. Revelstoke National Park. You can easily combine a trip to Kicking Horse Mountain with visits to Banff and Lake Louise. 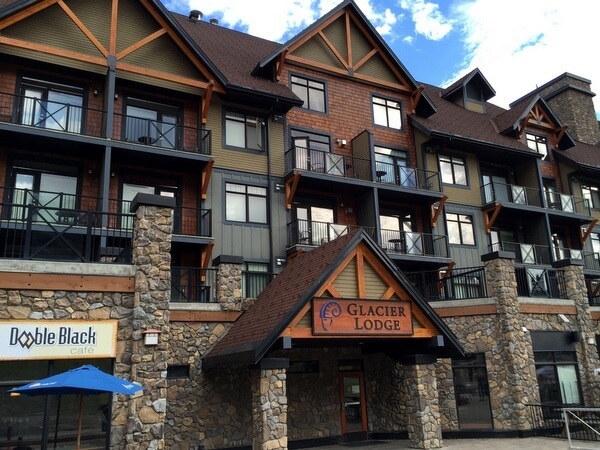 Rates at the Glacier Mountaineer Lodge start at CAD$169 (guest rooms) and CAD$229 (condos) in the winter ski season and at CAD$159 (guest rooms) and CAD$219 (condos) during the summer. You can also book through Expedia, Hotels.com or Travelocity. Hotel review by Vancouver-based travel, food, and feature writer Carolyn B. Heller, author of the books, Moon Handbooks: Ontario (now available in a brand new 2nd edition) and Living Abroad in Canada. Photos © Carolyn B. Heller. Kicking Horse Mountain Resort and Tourism Golden hosted my stay at the Glacier Mountaineer Lodge for review purposes.